I’m not sure what qualifications Patrick Bernard, founder of Bordeaux negociants Millésima may have to diagnose mental illness, but I’m not rushing to recommend him as a psychiatrist. Let’s analyse precisely what Latour did in fact do last year. It – it the form of director Frederic Engerer – decided to stop selling his wine when it is unready to be properly assessed or drunk, in favour of selling it when it is – in his opinion – properly marketable. He also chose to withdraw his wine from the hysteria of a few weeks when the entire wine world turns its attention to the opinions of a handful of experts who frequently disagree on the merits of the – frequently unrepresentative samples – they are tasting. Stated bluntly, if anyone is looking for an illustration of madness, it is to be found in the pricing – embraced by Millésima and others – of 2010 Bordeaux en primeur, and the very existence of a 2011 en primeur campaign. Latour has just released its 1995 grand vin and 2005 Forts de Latour. Simon Staples of Berry Bros has revealed that Asian buyers have snapped up his entire allocation of these wines. So, Latour has sold its wine; Berry’s has satisfied its clients; those clients have made far more sensible purchases than they would if they had bought 2010 en primeur. Millésima, however, have refused to offer the mature wine. That’s their prerogative: to express Gallic grumpiness. Some might even call it commercial madness, but I wouldn’t go that far. After all, I don’t have the requisite qualifications. Context : Millesima could read in the press and on social networks since Wednesday – after the announcement on the 20th of March in Bordeaux by our CEO – founder Patrick Bernard – that the article titled “Millesima boycott Chateau Latour” was the origin of quite some reactions (perhaps even misunderstandings) from the readers, either if they are professionals in wine, spirits or just wine lovers. This is the reason why Patrick Bernard wishes to put things in their context, in order to avoid more misunderstandings. Patrick Bernard : “Millesima boycotts Latour!” does not seem to express faithfully at all what I have announced yesterday by the end of the Primeurs 2011 Panorama Tasting in our own cellars. – For over two centuries, the Bordeaux Grands Crus Classés sell their harvest en primeur, in springtime, to the Bordeaux Negociants. Millesima, willing to see the Bordeaux traditions enduring refused the offered allocations, not only regarding the Latour but the Forts de Latour as well. Given the allocation system currently in use in Bordeaux, Millesima knew it was to be condemned not to be offered any Château Latour for the coming vintages. On the other hand, as soon as the Château Latour sells its wines en primeur back again, Millesima will be delighted to start buying and marketing their wines again. I’m sorry, M Bernard, but maybe we have a linguistic issue. I’ll leave it to readers to decide whether stopping buying and marketing Latour until it starts selling wine en primeur again fits within the Oxford dictionary definition of “boycott” below. Ryan Mostert @RyanTheWineGeek) wrote@AngelaLloyd1 @robertjoseph that does sum up the whole saga quite neatly! As usual @robertjoseph gets to the point with no bull. I thought the main issue was that the wines were released at a substantial premium over what can be sourced the market already? 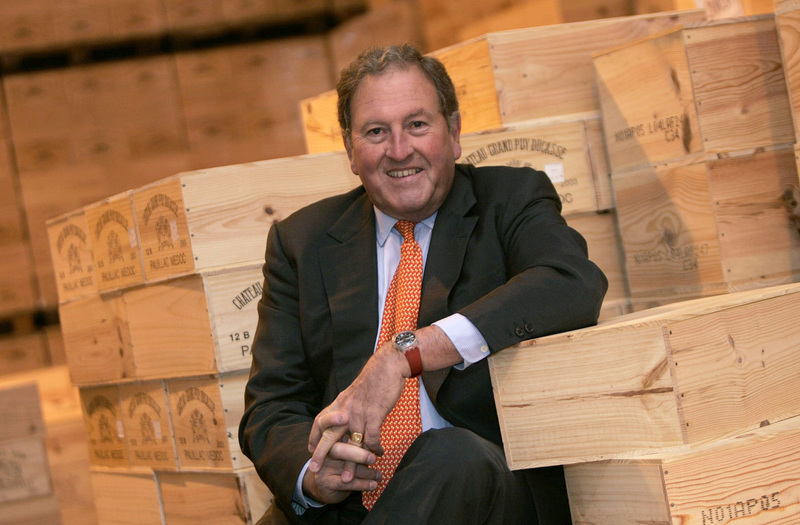 @gilescooke … Releasing mature wines from chateaux would be a blow against forgers.